Beneficial insects occur naturally in agricultural and surrounding landscapes and provide valuable services to farms. 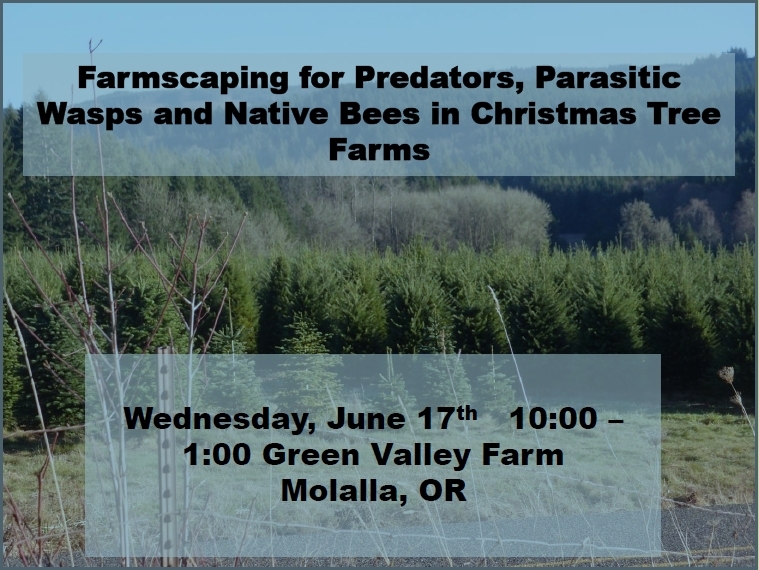 Predatory and parasitic insects are critically important for keeping pest insect populations in check, while native bees are significant crop pollinators. To maximize their contribution to farms these insects require habitat features that may be lacking in farm landscapes. 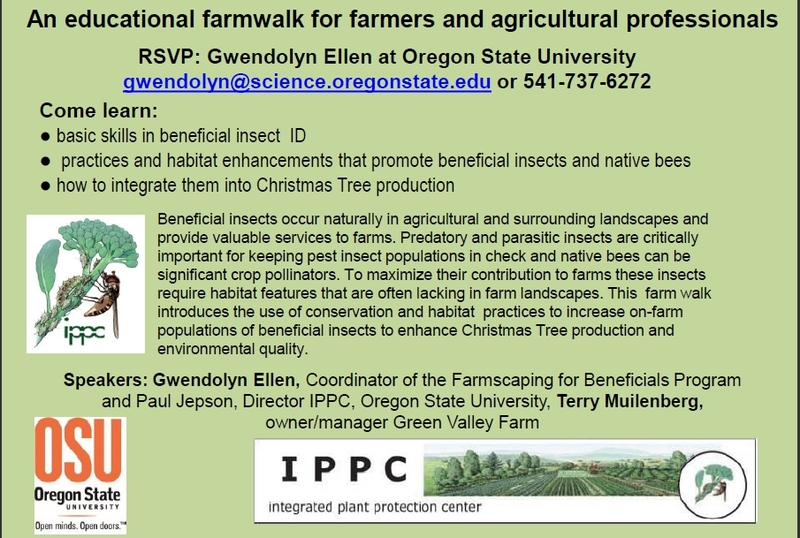 For those interested in attracting beneficial insects, Gwendolyn Ellen (Coordinator of the Farmscaping for Beneficials Program), Paul Jepson (Director IPPC, Oregon State University), and Terry Muilenberg (owner/manager Green Valley Farm) will be leading a farm walk to introduce the use of conservation and habitat practices to increase on-farm populations of beneficial insects. This event is focusing on Christmas Tree production and environmental quality.